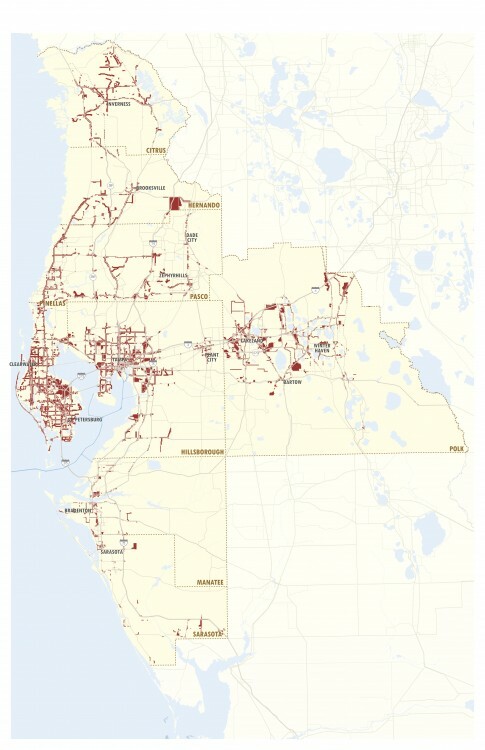 The Strategic Freight Plan includes a policy framework that is used to guide the development of specific strategies to address identified freight mobility needs in the Tampa Bay region. The policy framework provides guidance for the implementation of roadway capacity and operational strategies on the freight transportation network. Potential strategies for a given roadway facility should support the primary freight function(s) of the roadway facility and consider the land uses and activities within the corridor as well as the shared uses of the corridor. 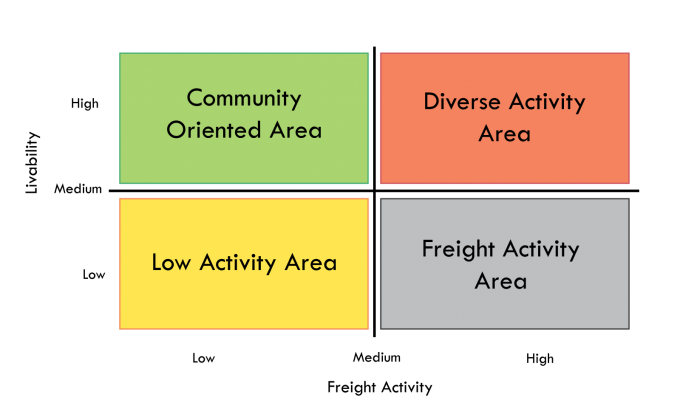 The freight transportation network has been organized into four facility types, each providing primary and secondary freight transport functions. 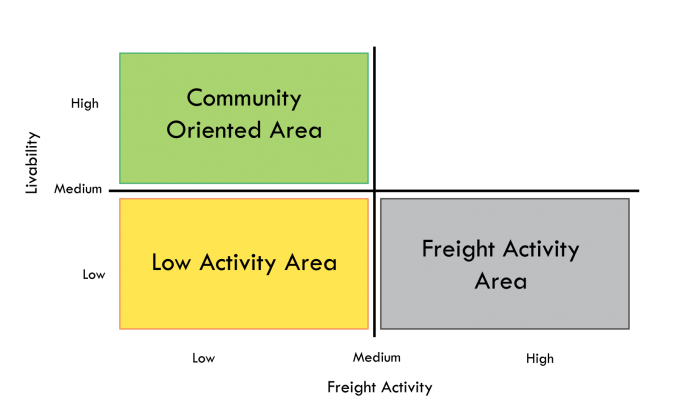 These facility types and their primary functions include Limited Access Facilities, Regional Freight Mobility Corridors, Freight Distribution Routes, and Freight Activity Center Streets. The Strategic Freight Plan developed initial implementation guidance which outlines freight-supportive transportation strategies, facility design considerations, and policies within freight corridors and subareas. The guidance complements existing processes and takes advantage of freight-specific resources, including a multifunctional Comprehensive Freight Improvement Database (CFID) and a set of Freight Corridor Study Guidelines. It identifies considerations for determining design solutions that support freight vehicle mobility, access, and operations in a number of urban environments. 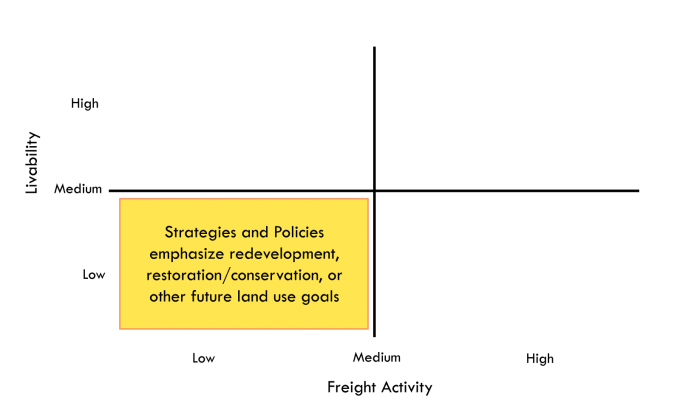 The freight activity and land use compatibility analysis identified four general area types characterized by the land uses and activities that exist or are anticipated. Low activity areas are characterized by land uses that would generally be compatible with freight mobility, but actual freight activity (truck traffic) in these areas is low. Community oriented areas have low freight traffic and are characterized by medium- to high-density residential, office, and mixed uses that create pedestrian, bicycle, and automotive traffic. 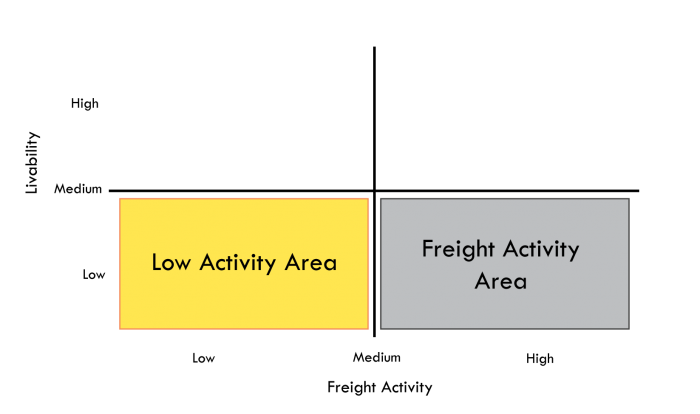 Freight oriented areas have high levels of truck traffic and land uses that are compatible with high levels of goods movement, such as industrial and commercial areas. Diverse activity areas have elements of both community oriented and freight oriented areas. Freight activity is high in these areas, either in terms of truck traffic or industrial and commercial land uses (or both), but there are also fairly dense residential and/or office uses.